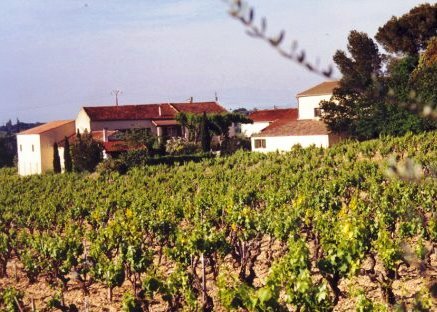 Domaine la Milliere was purchased in 1940 by Fernand Arnaud. During the 1940’s, Domaine la Milliere was already bottling and selling a portion of their own wine. Since that time, Domaine la Milliere has remained a family owned winery passing from generation to generation. Domaine la Milliere owns 15.5 hectares of vines in the Chateauneuf du Pape appellation. Located in the Cabrieres sector, 14.5 hectares of vines are used for the production of red Chateauneuf du Pape wine. .5 hectares are reserved for growing grapes to make white Chateauneuf du Pape wine. The terroir is rocks with clay, sand, pebbles and limestone soils. All vineyard management is done using only 100% organic farming techniques. The vines are old, ranging from 80 to 100 years of age for the red wine grapes. But they also have some of the oldest vines in the appellation. The oldest vines date all the way back to 1891. The vines that are used for their white wines are some of the older white wine grape vines in the Southern Rhone Valley as they are on average 80 years of age. All the grapes are destemmed before fermentation. Domaine la Milliere produces 1 red Chateauneuf du Pape wine and 1 Chateauneuf du Pape Blanc. Both wines are labeled Vieilles Vignes. Domaine Milliere also owns 8 hectares of vines in the Cotes du Rhone appellation as well as vines classified as IGP. Domaine la Milliere Chateauneuf du Pape Vieilles Vignes Rouge is produced from 60% Grenache,10% Syrah, 10% Mourvedre, 10% Cinsault and 10% Counoise. The vines are old as they are between 80 and 100 years of age. The wine is aged in concrete tanks and foudres for 12 months. 5,000 cases are produced each vintage. Domaine la Milliere Chateauneuf du Pape Vieilles Vignes Blanc, a blend of 35% Grenache Blanc, 35% Bourboulenc 20% Clairette and 10% Roussanne is aged in 100% new, French oak barrels for 6 months before bottling. The wine is hard to find as only 100 cases are produced each year. Domaine la Milliere can be enjoyed on the young side. Young vintages can be popped and poured, or decanted for about 1 hour, give or take. This allows the wine to soften and open its perfume. Older vintages might need very little decanting, just enough to remove the sediment. Domaine la Milliere is usually better with 3-4 years of bottle age. Of course that can vary slightly, depending on the vintage. In the best vintages the wine should be consumed within 3-12 years after the vintage. Domaine La Milliere is best served at 15.5 degrees Celsius, 60 degrees Fahrenheit. The cool, almost cellar temperature gives the wine more freshness and lift. Domaine La Milliere is best served with all types of classic meat dishes, veal, pork, beef, lamb, duck, game, roast chicken, roasted, braised, stewed dishes, sausage, barbecue, grilled meats and cassoulet. Domaine La Milliere is also good with Asian dishes, hearty fish courses like tuna, mushrooms pasta, eggplant and tomatoes. The white wine of Domaine La Milliere is best served with a myriad of different seafood dishes, shellfish, crab, lobster, sushi, sashimi, chicken, pork and veal, as well as Asian cuisine. Domaine la Milliere also owns 12 hectares of vines in the Cotes du Rhone appellation where they produce both red and white wine. Medium bodied, soft, elegant, forward, ripe and refined, the kirsch has a peppery angle that adds to the character, keeping the wine fresh, rich, deep and complex. The blend was produced from 60% old vine Grenache, 10% Mourvedre, 10% Syrah, 10% Cinsault and 10% Counoise. Peppery, herbal, soft textured, ripe, spicy, red fruits with a spicy finish. This could use a few hours of air in its youth. The blend was produced from 100% old vine Grenache. Successful for the vintage, the medium bodied wine is elegant, fresh, soft and serves up its center of fresh, sweet kirsch with herbs and floral accents with ease. Not a wine to lay down, but it is a charmer for early drinking pleasure. Medium bodied, forward, soft and open, with a crisp, kirsch finish. Blending 60% Grenache, 10% Syrah, 10% Mourvedre, 10% Cinsault and 10% Counoise, the wine reached 14.5% alcohol A blast of garrigue and kirsch, with soft, sweet, ripe, juicy red fruits in the end notes really stick with you. Forward in style, with light red fruits and a hint of licorice in the short, clean finish. Soft and polished, the wine delivers ample fennel, herbs and red fruits, with a sweet, silky, spicy red berry finish. Round, concentrated and polished, the wine is filled with sweet, ripe, kirsch, jam, sweet black cherries, spice and earthy qualities. Popped and poured, this is already enjoyable. This medium bodied wine shows hints of barnyard, light strawberry and cherry scents. The short finish offers jammy red fruit flavors.